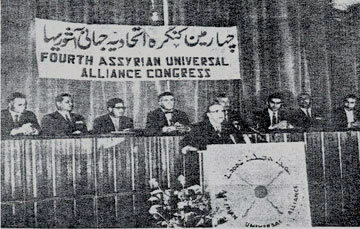 Former Iranian Prime Minister, Amir Abbass Hoveyda addressing the Opening of the 4th AUA Congress held in Tehran between 23-27 October 1971. Can AUA Regain the Glory of its Past? The delegates from several countries massed and milled this past weekend in London at the Congress of the Assyrian Universal Alliance and on the last day shouted qualified approval for their new chief, Dr. Emanuel Kamber. And so begins a new chapter in the life of the political organization from which most other groups today can claim their origin. Dr. Emanuel Kamber, the newly elected Secretary General of the Assyrian Universal Alliance, teaches nuclear physics. Dr. Kamber, who was endorsed in our last editorial, was elected by a majority of the delegates present. In a phone conversation with Zinda Magazine, Dr. Kamber stated that the official declaration of the Congress will be released for publication within the next few days. Dr. Kamber did not find it necessary to shake up the AUA at this time and has kept many of the current positions in status quo. His plans, on the other hand we hope, will profoundly alter in the widest circles the image of his organization and improve the standing of the Assyrian nation in the international arena. The f irst act of the new Secretary General of the Assyrian Universal Alliance is to confer with all other major Assyrian political groups on the issue of securing the rights of the Assyrian people in Iraq within a constitutional framework. He has only a month to untangle the mysteries of the “name issue” and express the voiceless interests that parallel AUA’s. The two meetings held recently in Baghdad demonstrate the perplexity of the situation at hand and the varied opinions that point to several directions (see Good Morning Assyria). AUA’s standpoint has not changed in recent years and it will be interesting to see if this year’s Declaration will stir the leadership onto a new direction or assert AUA’s time-honored “Simply Assyrian” dictum. Not too far from where Dr. Kamber teaches university physics, a mutinous Assyrian American National Federation is quietly planning a coup d'etat in September at the next National Convention in Boston. The current leadership, spearheaded by President Alladin Khamis and Vice-President Guiliana Yonan, ultimately want the AANF to leave the AUA. The AANF is a member of the AUA, as are several other federations and large regional organizations around the world. The AANF Duo will have to wield much power in the coming weeks to accomplish this task. With the election of a new leader the AUA faction inside the AANF is expected to kick and scream their way through the National Executive Committee meetings in Boston to ensure AUA’s preeminence within the largest and oldest Assyrian organization in America. Kamber is in turn expected to prevent a struggle in Boston by acquiescing Khamis and Yonan’s anxiety prior to the September meetings. With the events in Iraq unfolding everyday, the new Secretary General of AUA has a long and tough job ahead of him. His predecessor, Senator John Nimrod, presided over a dangerous transition period, as he quietly managed his organization weakened by the internal power struggles within the AUA ranks. His style of management was autocratic; he avoided too many complicated interactions and personality issues. At times even the members of his Advisory Board were not informed of his meetings in Washington and Europe. In comparison to the golden years of AUA (1968-1978) Nimrod’s term in office has not been a complete success; however, he was the only person that could undo the mischiefs of a decade ago. John Nimrod is a product of the post-World War II America, dedicated to the principles of democracy and freedom around the world. 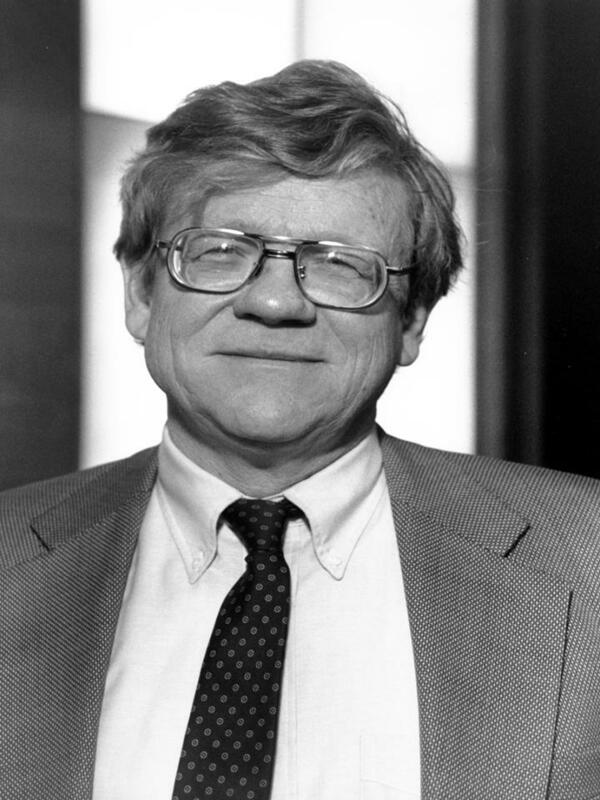 He sought AUA’s proximity to the Republican foreign policy of the U.S. government in the Middle East and overlooked the regional differences of opinion among his advisors. His politics echoing the U.S. Republican party pitch, in many ways he was never able to be identified as a “native son of Assyria”. His ability to go only so far, and no further with the much admired Iraqi and Syrian based political groups, grounded in a more “native political approach”, made it inevitable that he would be the initiator of an American approach to Assyrian politics. This tendency alienated many former AUA supporters and even charter members, but it kept AUA together and a darling in the eyes of Washington’s neo-conservatives. John Nimrod, a former Illinois State Senator, continues to command respect from his friends and foes in America and abroad, and will hopefully continue to advise the new Secretary General in the future. Despite the fact that no one has criticized Nimrod as openly and as often as I have in this column, I remain one of John’s biggest admirers. Assyrians are deeply indebted for his efforts to bring greater global recognition for Assyria, a vision that eroded after the coming to power of Ayatollah Khomeini and the rise of Saddam Hussein after the collapse of the Pahlavi dynasty in Iran. John Nimrod will be remembered for his efforts to include the Assyrian communities from the former Soviet Union republics in our national struggle, narrowing the gap between the Assyrian issues and the State Dept and Pentagon, leading the Underrepresented Nations and Peoples Organization in whose list of member nations “Assyria” continues to enjoy solid support, administering a multi-million dollar social enterprise as the Assyrian Universal Alliance Foundation in Chicago, and for several other charitable programs for students, elderly, and refugees. John Nimrod’s legacy guarantees him an honored place in our history – as a soldier who fought the enemies of democracy in World War II, a public servant in the U.S. government as a state senator, and the head of a major Assyrian political organization. In the next few weeks, Assyrian political parties from around the world could begin announcing their recognition of the new AUA leadership, and together sketch a massive effort to form a solid political front in Iraq with concrete recommendations for the Iraqi National Assembly committee that is drafting the new constitution in Baghdad. Or they can go about their normal business and let Arab and Kurdish groups seal their fate. Since the latter option is not acceptable, soon the more restrained Emanuel Kamber will have to parley principals of Assyrian politics and the religious Patriarchs and bring all sides to the negotiation table. The attendees could draft a new strategy to reassure the Assyrians around the world of a future in which the Assyrian identity will not be negotiated during an eleventh-hour compromise in Baghdad. Every genuine question requires a genuine reply. The foregoing question is definitely sincere. For this reason it necessitates a genuine answer. This question does not concern one or a few people. It is intertwined with the spirit, and is tinted with the blood of the entire Assyrian people. It is not a new question; it has been awaiting a response for dec&’des and even centuries. For this reason, it is important to analyze it profoundly and examine it thoroughly. Questions do arise when there is ambiguity and lack of clarity. The Assyrian people have no part in decision-making and do not know what is the national agenda nor where they stand. The Assyrian individual has no idea which way our nation is going and what steps are being taken. He does not know whether our nation is progressing towards a bright future, or is at a standstill. This is why the aforementioned question arises. Moreover, questions arise as a result of knowing, seeing, and hearing, the Assyrian hears, witnesses, and knows what the Palestinians doing and gaining; what the Kurds are doing and where they stand; what South Africans attempted and achieved; how the Armenians act and where they stand; how the Jewish people advance and spread out. The Assyrian is aware of the national movements among the Georgians, the Ouzbeks, the Turkemans, and other nations who did not wait passively. They were creative and became victorious. All that which is witnessed, heard, and known raises questions about our nation: What is it doing, and where does it stand? If a nation is victorious, progressive and prosperous, it is because of the capability of its leadership. But if a nation is in distress, hardship, homeless; if it is dispossessed and forlorn, all this affliction is the result of an incompetent leadership. What is obvious today, is that our nation suffers from harsh persecutions and destitution. This is our condition and our lot today. Where is the pillar against which our nation may lean and get encouragement? Where can the Assyrians look to get a glimpse of hope for the future? There are no answers for these questions nor for the main question: Where does our nation stand and which direction is it going? Every Assyrian must individually and singularly seek an answer and find what is essential in our life. What is the reason for our apathy and inaction? Recurrent events or conditions are habit forming. If they continue for a long time, they become a part of our existence, and a second nature to us. On the basis of this observation, it is relevant to ask what has happened to the Assyrian national character ever since the Assyrians lost their statehood and began life as a Diaspora? Continuously different parts of our nation have lived under subjugation. Others have provided them with shelter, clothing and means of survival. This situation has been recurrent for 2,000 years and is our lot today. It has become second nature to us that whenever a section of us is uprooted, we react by focusing on feeding, clothing, or finding a shelter to our refugees. This reality and our reaction to it was clearly and dramatically demonstrated during the first Gulf War when all the Assyrians participated in various meetings and generously donated to the cause of feeding and clothing the hungry and dispossessed Assyrian war refugees. Up to this day we are still busy fulfilling the imperatives of a habitual nature ingrained by recurrent conditions. As you see, the imperatives of national conditioning have led us to satisfy our conscience with charitable activities which confine us and prevent us from taking further steps towards essential goals. Let us beware that the more an Assyrian makes offerings to the altar of charity, the less he has to offer in the way of will and determination to alter the existing conditions and bring about an escape from this vicious circle. Under customary practice, we have learned to react to oppression with welfare; when in fact the reaction to oppression can be protest and resistance. When we are pushed to the corner, we begin to think of how to survive in that corner instead of trying not to be cornered or not to stay cornered. It is not in our nature, it is not in our experience, it is not seen within the 2600 years of our history to react to oppression with force and determination. We do not have an alternative vision or an alternative plan of action. The few instances such as Assyrian sovereignty in Urhai or Adiabene, and a few others, are because of leaders who saw the two alternatives to defeat. We are finding out that our second nature does not permit us to acquire self-confidence in our collective worth and capabilities. We have lost all hope to achieve sovereignty. Our handicap has become further entrenched by our Christian faith and beliefs. Within this body of belief, there are no limits and no ends. All is one and one is all. There is no difference between black and white or red and yellow. We are passive and silent. Whenever we have been slapped on one cheek, we have turned the other. But when we have had faith in ourselves, and have kept our spirit strong, we have accomplished powerful deeds. Our Christian history itself demonstrates the eternal glory our nation has earned in the spread of the Christian faith. In the cause of our faith, we willed and we accomplished much. We were not afraid of sacrifices and we were successful. We earned this glorious history with our spiritual strength and with self confidence. Alas we have not been so strong willed, so confident, and so sacrificing in the cause of nationalism. Adopted habits are maladies that control the spirit, the will, and decisions. They drain our self-confidence and exhaust our will to stand up and resist. Whenever we are pushed to a corner, we do not have an appropriate reaction. Under the imperative of an acquired nature, we have wiped out all that is essential for our national existence. We have cut off the tie that binds us and maintains our identity. We have stopped relying on our spiritual strength and have lost faith in our collective worth and capabilities. That which transforms a fox into a lion and leads the crippled to the summit--that is called ideology. Without it, there is no motivation, strength of mind, and faith in our collective capabilities and worth. Whoever is equipped with ideology is capable of resisting, taking action, and succeeding. Ideology has been a very powerful and consequential element in the destiny of nations. To illustrate, let us examine three cases that we have witnessed with our own eyes. a. Consider the half-starved, ill-equipped Vietnamese--lacking in wealth and professional expertise--he fearlessly stands up to the American power: supreme in the most modern warfare. He defeats and chases out the American from his country proving that without ideology one cannot be victorious in any baffle. The world and the history of humanity is a witness that the victory of the Vietnamese was due to the presence of ideology and the defeat of the Americans was due to lack of it. b. 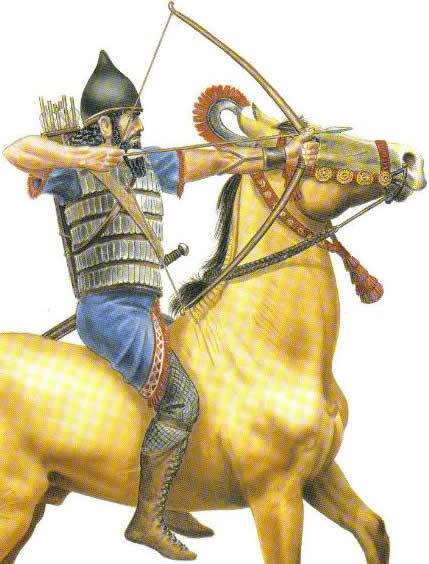 The sandal-footed Afghani with a mantle on his shoulder, with no military power or training, defeats the much larger and powerful Russian force, which was famous in the battle of Stalingrad. He not only defeated and forced the retreat of the Russian army, but also caused havoc in the Russian government. The Afghani had strong ideology, while the Russian did not possess a fundamental one. c. The Palestinian who confronts Israeli fire power with stones gathered in the streets, does not get cornered, and is able to persist and achieve his goal. His spirit is nourished, directed and driven by the power of ideology. He does not retreat despite innumerable sacrifices and the incarceration of war prisoners until he wins victory and respect. Historical instances such as these are numerous. They clearly demonstrate that by means of ideology the fox turns into a lion, and the lame ascends to the top of the mountain. In order to change our debilitating national habits, to strengthen our spirit, and to gain self-confidence in our collective worth, we need an ideology. I asked Malik Loco in Lebanon: “In how many wars have you been?” He said: “I’ve been in all kinds of battles ever since I was 16. I have fought against the Kurd, the Arab, and the Turk.” I asked: “What were you fighting for?”. He answered: “We were fighting for self-defense or in retaliation, or to carry out British orders.” I asked: “Have you ever fought to gain independence and freedom from oppression?” He said: “Neither I, nor my superiors ever entertained such thoughts or goals. We have never fought for this purpose.” As you see, we have not had an ideology to guide us in the assessment of historical conditions in critical times. THE ASSYRIAN WILL CREATE HIS OWN HISTORICAL CONDITIONS AND EVENTS; HE WILL NOT DEPEND ON CONDITIONS CREATED BY OTHERS. There is profound wisdom and discernment in this ideology. It transforms the passive nature. It says: “Be a creator and not a follower. Rely on yourself and on your collective entity. Step forward and gain confidence in your national capability and worth. Revive your spirit and be strong. Do not be the consumer of leftovers.” The lion captures the pray; the fox waits for the lion’s leftovers. 1. We are pleased and congratulate ourselves for having gained a seat in UNPO (the Unrepresented Nations and People Organization). Others have created this and we have received the crumbs. We are in the disposition of the will of others. We are in waiting to see when they will take a step that can benefit us. Evidently, the founder is motivated by self-interest, but seeks advantage of our name and our identity. Relying on neighbor’s charity, “he” will leave you in misery and hunger. it is wrong to rely on others. 2. We are pleased and congratulate ourselves for gaining membership in the opposition group in Iraq. Others have created the opposition and are in charge of its manipulation. They will benefit from this and will benefit from our name and identity. We are expecting to see what steps they will take. Our voice does not carry weight. 3. We are pleased and boastful that we have sent delegates to the Kurdish parliament. They have created that parliament for themselves and we are an appendix. However, even these political moves are better than none. But as ideological tenets, they are neither sufficient nor constructive. They bind us to others, keep us in waiting, and make us dependent on the foreign will. They lead us astray from our own path and we lose the will to create our own destiny. This attitude, if pursued, may dim an otherwise bright future. The Palestinian did not wait for leftovers. Neither did he wait for foreign strategies. He, by hijacking planes, and by taking hostages, created his own strategies. Even though he became labeled as terrorist and a thief, he entered the White House and took his rights. On the strength of his ideology, he stood up to the Israeli force, oblivious to the extent of his casualties and sacrifices. He did not appease his conscience by clothing and feeding the naked and the hungry. He used the plight of the destitute to mobilize and publicize his revolution. The Jew used his exile as a resource to publicize his plight worldwide. There are many appropriate channels for us as well, to make our voice heard and our national rights recognized. The Assyrians have given big sacrifices to promote and fulfill the ideology of others. More than 40000 Assyrian young men lost their life in the Iran-Iraq war. During WWII, 67 out of 96 young men were killed in a single Assyrian village in Russia. Thousands more were killed in Russia as a whole. There were numerous Assyrian casualties from the US army during the Korean war. For the cause of the Kurdish independence, not only have we given many casualties, but we have also suffered other great losses. In return for all this loss and suffering what has been our reward? With a smaller number of Assyrian casualties, for a genuine Assyrian ideology, our identity would have been publicized effectively and our voice would have carried more weight. We would have experienced a revived spirit and self-confidence in our collective strength and capability. THE ASSYRIAN PEOPLE IDENTIFY THEMSELVES AS A NATION AND DESIRE TO LIVE IN FREEDOM LIKE ALL OTHER NATIONS. As we see, the above-mentioned directive is subject to the Assyrian will and is compatible with any and all political inclinations. No philosophy or logic can find fault with it. Circumstances cannot bring change in its course. It is solid and permanent as long as the Assyrians maintain their identity. This course must end in the aforementioned sea. What is the sea in which the Assyrian ideology finds peace and tranquility? That is the Assyrian national quest. Throughout the Ottoman rule in Bet Nahrain, this region together with its surrounding mountains and valley, was identified in the geographical maps of that time by the name “Assyria”. The mountains of Assyria, the rivers of Assyria, the plains of Assyria, etc., are all examples of such denotations. But today all that region is renamed “Kurdistan”. This is an identity taken from us and given to the Kurds. In a meeting of AUA delegates with the leadership of the Assyrian Democratic Movement (Zowaa), I asked a member of the Zowaa delegation: “Where are you from?” His answer was: “From Northern Iraq or Kurdistan.” I suggested that it would be more appropriate to say that he is from Assyria. From now on, whoever comes from that region, let us say: “He is from Assyria.” For anyone who is going there, let us say: “He is going to Assyria.” It will not be long before the name “Assyria” will be condemned in the region known as Kurdistan and its users will be thrown in jail as it happened in Syria, Lebanon, and other places. If we do not claim geographical identity, how do we expect others to grant us one? We have the responsibility and the right to gain the Assyrian designation to the region which is our quest and our birthright. Undoubtedly, any geographical identity has territorial boundaries, as indicated on a geographical map. I suggest that for now, we ascertain that the boundaries of Assyria are those recognized by the League of Nations after WWI without any hesitation or worry regarding who will not be in agreement with us. The task of delineating the boundaries of Assyria on international maps, and getting them recognized by the international community, must start with us. If we do not place our country on international maps, no one else will. After we establish a geographical identity consistent with our history and in accordance with the prevailing conditions, then we can attempt to convince others to recognize it. I repeat: As long as our geographical identity is not clear to ourselves, all our other efforts are a waste of time. We will remain permanently in the dark and at a loss. Every uprising will be fruitless and any effort will disappear in quicksand. It is important to remember that today there are countries that maintain we must establish our geographical identity. It is useless to make our national quest the attainment of our human rights, or unity, or peace, or cultural and religious rights. These have not been accorded to any minority and will not be accorded to us. We will be the ones who will lose members through assimilation. The larger the size of the population, the greater is the strength and the capability of a nation. The human rights of a large multitude cannot be ignored and are therefore attainable. The voice is loud and audible. The quest is powerful and therefore perceptible. The uprising and its course is chaotic and therefore earthshaking. For this reason, I have proclaimed in the past, and am recommending now, the adoption of one name for one nation, under one flag, by all the different groups in our nation. This is to attain strength, merit, and effectiveness so that we can be seen, heard, and taken into account. I would also add the following three amendments to identify what are the various components of the Assyrian nation. First - The Assyrian nation comprises all the denominations known as Jacobite, Chaldean, Maronite, Nestorian, Yizzidi, and Islamized Assyrians living among the Arabs, the Kurds, the Turks, the Iranians, and others. Second - The Assyrian nation comprises all the populations that are known by various regional designations such as Urmians, Telkaifees, Alqoshites, Tekritis, Mosulites, Baluchis, Arameans, and others. Third - The citizenship of Assyrians in other countries is a temporary status. The Diaspora must be recognized as a forced exile. The Assyrians must be recognized as permanent citizens of Assyria, living temporarily in foreign countries, until the day they can return to the fatherland. The concentration of Assyrians within the boundaries of Assyria is the most effective way to achieve this objective. It is the most powerful weapon in the Assyrian national resurrection. Let us learn from the accomplishments of the Israelites. They purchased land, built homes, set up villages and communities, and established various centers. They accomplished all this with the help of a strong ideology. Today, we live under more favorable conditions than the Israelites did then. What we need is an Assyrian ideology which will enable us to see the impossible as possible. Anyone who cannot leave his home and livelihood abroad and establish his home in the fatherland is bereft of an ideology. He is dead in national spirit and loyalty. The lion who brought down the prey, has become a fox awaiting leftovers. If the Jews succeeded, we are no less than they are. If we take action, we will succeed. There is a dire need for the Assyrian ideology to take root in our being, circulate in our veins, and change our adopted character which obscures our vision from seeing the truth, breaks our spirit and robs us of self-confidence and self help. We must realize that without centralization the door of opportunity for freedom and revival remains closed. The more centralized, the closer the day of emancipation. Centralization and a large population size will be ineffective without resolution to obtain our national rights. Resolution awakens and stirs up people into action. It is a creative force that leads to victory. Without a national will, we remain passive and silent; we tolerate servitude and inferiority. The Assyrian ideology will revive the Assyrian Will. There are strong documents which authenticate our quest for national rights and justify our cause and our plea. Our history and national heritage are a pillar of strength which we can depend on in any international debate. They can vindicate us in any international court of justice, and before any international law. For this reason, the enemy is hard at work to divest us of our history and disrupt our ties to our heritage. Only in this way can the enemy engulf us, and swallow us up. Our identity and all our rights evaporate without our history and cultural heritage. We cannot neglect our refugees and those among us who are ill-clothed, ill-fed, and all those who live in destitution and bitterness. It is imperative that in addition to our own donations, we claim our share of the international welfare budget as others do. At the same time, each persecution must be used to bring attention to, and raise awareness of our plight on an international level. Let us consider them as stepping stones that help us escape from the corner we are being pushed into. We will take charge of every case of oppression both in terms of rescue efforts and politically as a strategy to mobilize public opinion in resisting the oppressor. We will prove by our strength and plan of action that it is hazardous to interfere with us and not respect our rights. The Assyrian ideology, with its motto and objectives, opens the way to a discussion of our political identity and the manner by which it must be reinstated. Let us take stock of the history of a strong and large nation such as the USA. In their fight for independence, the 13 states, despite differences of opinion and strategy, needed to agree on a common political goal and come under a unified flag. They assembled and discussed the issues facing them behind closed doors until they came out all in agreement. Let us remember that every plan of action consists of three stages: the information gathering stage, the preparation stage, and the implementation stage. [Decades] have passed since the establishment of the Assyrian Universal Alliance, the Assyrian Democratic Organization, and the Assyrian Democratic Movement, and of the Federations. During this period the general framework of the thoughts and the position of our people have been made clear. We are aware of the needs, the thoughts, and the reactions of our people in different circumstances. It is reasonable to state that we have passed the stage of information gathering and analysis. It is imperative to step forward and enter the stage of preparation. The most important and appropriate step is to build our political core. The political identity of every nation is a formal organization which has the power to make political decisions and implement them among its people. Every country and every political organization has an identifiable structure. Usually in leadership are members elected by the people to represent them such as parliamentarians, the senators, etc. Under the present circumstances, it is not possible to establish such a system among the Assyrians. But there is a door open for us. All we need to do is to enter. This opportunity presents itself in the already established political parties, denominational organizations, and the Federations. In general these represent the totality of the Assyrian nation. It is possible to build a political core upon such a foundation to signify our political identity. a. Assyrian strength, embodied as cornerstone by our people dwelling in Assyrian proper. b. Assyrian strength incorporated by our people scattered throughout the world as immigrants. c. Assyrian strength incarnated by our religious denominations. To disregard or to set aside any one of the above three pillars, will result in the fall and destruction of our national organization. Their equal participation will insure our union and strength. To build the political core for the purpose of attaining our political identity, I would suggest that we utilize the six objectives discussed above. First Objective: Numbers with three amendments. This will be under the charge of the Assyrian Democratic Organization. It will determine how to plan and fulfill this objective. Second Objective: Centralization will be under the direction of the Assyrian Democratic Movement. It will determine how to plan and fulfill this objective. Third Objective: Resolution will be the responsibility of Bet Nahrain Democratic Party. This party will determine how to plan and fulfill this objective. Fourth Objective: Assyrian History and Cultural Heritage will be in the charge of the Federations. These organizations will plan and carry out the projects associated with the preservation of this objective. Fifth Objective: The Assyrians and their Friends will be under direction of AUA. They will organize and carry out the projects for this objective. Sixth Objective: Welfare Program will be under the care of denominational churches. They will determine how to plan and fulfill this objective. 1. A Secretary General, a deputy, and a secretary from each political organization mentioned above. 2. The patriarch, a metropolitan, and a secretary from every denomination. 3. A President, a vice president, and a secretary from every federation. This congress is the aforementioned political core, or the Assyrian parliament which symbolizes the Assyrian political identity. Every constituent organization will maintain its former identity. The sharing of responsibilities will lead to unity in thought and action which are two essential elements of creating solidarity and continuity. b. Every organization will have veto power in every decision. Only that decision is valid which is taken unanimously. c. Since responsibilities are interconnected and necessitate input from a variety of sources, at any time any organization is entitled to seek the help and cooperation of other organizations in fulfilling its objectives. Whatever is written and recommended in these pages, has been subjected to thorough and rigorous examination. Its source is our nature and our soul, our history and heritage, our action and reaction, our consciousness and our plans, our wounds and our pain, our tears and our lamentations, our sacrifices and our Assyrian Nation dispossession, our exile and our desperation, our orphans and our widows, our casualties and our massacres, our divisions, and our estrangement. Because of all this, it is genuine and dedicated. It is a revelation and a manifesto. Nothing is omitted, nothing is overlooked. There is nothing to add or deduct from it. It is tied to us and a part of us. It is in our will and in our power. Its course is gradual and progressive. It runs on a wide and paved bed. It is an open and unique stream. The Assyrian people are obligated to take it and follow its course. With all its ups and downs. They must ride the tide until they reach the shores of freedom. He who follows this solid and unchanging course is victorious and successful. He will reign over time and events. 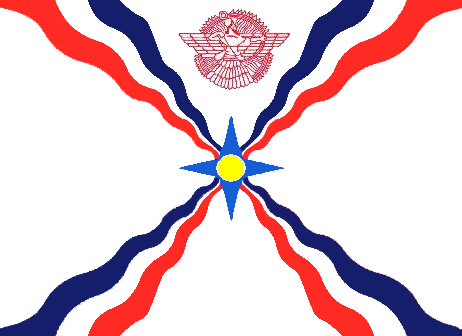 Preamble: The Assyrians recognize themselves as a nation, they intend to live in freedom like all other nations. Goal: Attainment of territorial and political identity. Organizations. A provisional structure has been planned, but not included in this monograph. It is up to each organization to plan its own structure. 1. The name “ Assyrian” is not a designation accepted by all. Israel. Take another example: Czechoslovakia is a compound name. A few years ago it was divided into two countries named Czech and Slav. Since we cannot adopt a religious and compound name, the only name which has been used in reference to us, both in ancient and contemporary historical documents, is the name Assyrian. It entitles us to our national entity and rights. It entitles us to all our legal and international authoritative documents. It bestows historical respect and glory to all Assyrians without exception. I repeat that the name Assyrian does not invalidate other denominational or tribal names. It is actually advisable to keep these names alive, but as regional or denominational designations only. The question is, which other name beside “Assyrian” can bestow equal historical respect to our people, and substantiate our claim to all the documentary in our past and present history; and can protect our rights as well as the designation “Assyrian” can? There is none. Therefore, the name of our country shall be Assyria and the people shall be called Assyrians. 2. Patriarchs do not participate and take office in congresses. Answer: Why should they not participate? They are a member of this nation just as anyone else. They share in both our nation’s good fortunes and bad fortunes. They too thirst for freedom and peace, and want tranquility for their nation as well as their congregations. They have a religious duty to look after the sufferings and tribulations of their people and their congregations. They are leaders and a source of hope and inspiration for their people. They cannot remain silent before oppressors and the enemies of peace and justice. They cannot be the rod and the arm of those governments which do not want our unity; but, want to create factionalism among our people to disown us. They carry the cross of our people on their shoulders. It is essential that they carry it to the calvary of emancipation intact, loyally and triumphantly. They have risen from among the people and congregations. They are responsive and receptive to the genuine concerns of their congregations and the Assyrian people. They cannot set themselves apart from the people. They are from the people and of the people. Whoever is not with them, is with their enemy. Denominational differences have been the cause of too many frictions and damage to our people. This being the case, it is expected that our people and our congregations will no longer remain aloof and inactive; but will eagerly ask their patriarchs to participate in the congress and accept posts in organizations which symbolize the Assyrian identity. If this plea is not heeded, I believe in this nation there are more than 50 individual who, armed with Assyrian ideology, will use suitable methods to persuade whoever does not participate to participate. The declaration of the people to the religious leaders is: Beware that your title and your position is very important in creating unity among our people. Do not deprive the people of this. Your hesitation is detrimental to our identity and our survival. 3. The political parties and organizations as well as the federations will not participate in a national political congress. Answer: Our political organizations have demonstrated a measure of loyalty, readiness and practical political maturity which is very encouraging and creates the optimism that they will be the cornerstone of our political core. They are experienced enough to realize what is being suggested and what is being asked of them. They are not losing anything, but gaining in importance and credibility. What kind of political party would not want our people to acquire a political identity by which they can free themselves, being on the verge of extinction. How can they precipitate the ultimate annihilation by non— participation? They are of the people and with the people. They are elected by the people to administer to their needs. If the people ask them, they will participate. Otherwise, in our nation we can find more than 50 individuals armed with the Assyrian ideology, who will creatively persuade those who do not participate, to participate. 4. There are certain denominations and political parties who have not been given rights of participation in this monograph. Answer: We are not cognizant of any other denominations or organizations under a known leadership. If there are, they have the right to participate. We request that they identify themselves. They will be included as the founders of the Assyrian political core, and will be given suitable responsibilities. 1. Our Patriarchs meet as brothers and sons of one nation. They ponder upon and discuss the well-being of our nation. This has never been the case in all our history. This step is seen by our people as the most constructive and the most sublime in the history of our nation. Our people have been waiting for this day for ages and centuries. 2. Our political organizations and their leaders assemble under one roof and cooperate in thought and action to create a solid unity which is the basis of our national survival. 3. Our political identity is taking shape and gives us a distinctive national structure and character. Now we will become visible as a nation and our national quest will be heard. This is the beginning of all beginnings. Our objectives will be fulfilled smoothly. We will pass the preparation stage, and the arrangements for moving forward and reaching the ultimate goal, will be set forth and explicated. I repeat that there is no one who does not desire the above accomplishments. These comprise the general national quest. If that is so, then it is a decree from the people. It is imperative that we all abide by it and accept our responsibilities. Particularly those in the leadership are obligated to submit to the collective will and occupy themselves with the tasks before them the same way as other national leaders do. A reminder to all Assyrians and their leaders: if not today, then when? Not thinking about our survival and our future, is certain death and destruction. If the official leaders do not take action, we will know that they are oblivious to our collective cause. If this is the case, then we must diligently demand and steadfastly take the necessary steps without hesitation. 1. This manifesto is, with the help of mass media, spread among all the people by means of various publications, newspapers, and by means of radio and television. 2. All suggestions, additions, and omissions are collected and communicated to the people so that everything is completely clear. Sincere questions must be given sincere answers. 3. The will and the need of the Assyrian people, as well as their reaction to this monograph is fully communicated to the delegates of the 6 offices, discussed above. 4. The secretariat, on behalf of the Assyrian people asks and receives from the delegates of the 6 offices letters of acceptance and intent to fulfill the national goals, and respond to the collective will of the Assyrian people. 5. The delegates of the 6 offices reach an agreement as to a place and date to convene and create the political core, or the parliament, as the supreme leadership of the Assyrian people. 6. The secretariat prints, all the minutes and the documents at its disposal in a monograph, to be saved as new pages in the Assyrian history. 7. Completion of all necessary arrangements for the program of the aforementioned leadership convention. 12. Who can be a member of the Secretariat? Anyone, whether near or far, wherever he is, of any persuasion or party, who would like to fulfill the 7 tasks assigned to the secretariat. Dear Assyrian, any task, whether big or small that you choose to undertake in fulfilling the goals of this manifesto will be beneficial. Be the creator and adopt the Assyrian ideology. Do whatever you can for the collective emancipation. 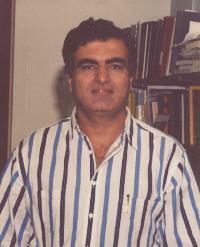 Dr. Ashur Moradkhan is a founder of the Assyrian Universal Alliance and the former Assyrian editor of Nineveh Magazine. He has written extensively on the Assyrian history, language, and politics. In 2001 Dr. Moradkhan left his family in California to live among the Assyrian villages in north Iraq and began working as the director of the Atra Project. For an interview with Dr. Moradkhan in 2001 click here. Ashur Malham Khnanesho, Youbert Younan Moshe, representing Ashurbanipal Cultural Society. Marcus Iskandar Dando, representing the Christian National Youth Society. Mr. Abd al-Ahad Afram stated that the Chaldeans are a unique and separate people from the Assyrians and Suryan. He added that the Chaldeans are seeking the inclusion of their name independently in the upcoming permanent constitution and that this decision is final. Fouad Bodagh repeated Mr. Afram's sentiments. He criticized those who deny the Chaldean designation and described those with such opinion as denying their origin. Emmanuel Shikwana suggested the title of Suraye be used as a compromise. He stated that a name is not important while unity is. Nuri Potrus stated that people are refusing the ChaldoAssyrian title and that there were no churches by that name and that they are working in the Assembly to find an alternative unifying title. He stressed the decision of Patriarch Emmanuel Delli and the bishops to include Chaldeans in the constitution. He stated that he approves of a unifying title but not at the expense of the Chaldean name. Mr. Younadam Kanna stated that it was not him who forced the ChaldoAssyrian title on our people since Patriarch Delli and Bishop Sarhad Jammo have both blessed that title. In addition, Hikmat Hakim and the APP accepted it at the time. Mr. Kanna criticized the manner by which the Chaldeans and Mar Delli are politicizing religion and monopolizing national affairs under a religious roof just as it was with the Assyrians during the era of the Mar Shimun family. He added that Assyrians, Chaldeans, and Suryan were one people with one history and one language and that these were the components of a living nation. Mr. Hikmat Hakim criticized Mr. Hussein 'Adhab, a member of the Iraqi National Assembly and a member of the Constitutional Committee in the Assembly, Dr. Hammam Hammodi, a member of the Iraqi National Assembly and head of the Constitutional Committee in the Assembly. He refused any legal guardians who may decide a name for the Syriac-speaking people of Iraq. He commented that no vote should be taken on such matter and that a compromise name was tried and failed. He stated that every one should have the right to use the name that s/he sees fit. Mr. Kaiser Odisho stated that the APP had always believed in the title of "Assyrian Chaldean Suryan" as a unifying title; however, since everyone at the time agreed with the title ChaldoAssyrians, the APP went along as a temporary political compromise. The next meeting was scheduled for Friday, 15 July 2005 at al-Mashriq Club. The murder of two Assyrians in Syria last Fall (AINA 10-31-2004) by a Syrian National Guard officer and the subsequent Syrian government inaction have highlighted a profound vulnerability of and discrimination towards the indigenous Christian community there. As a small crowd of terrified neighbors looked on and attempted to draw closer, Murad Al Raadi threatened that he would kill any "Christian dogs" that tried to help the "worthless infidel." In utter disbelief, Mr. Yelda Yacoub Youkhana, Mr. Abdul-Ahad's neighbor, ignored the threats in order to see if there remained a chance to save Mr. Abdul-Ahad. As Mr. Youkhana bent down to comfort his neighbor, Murad Al Raadi shot Mr. Youkhana in the back. The gathering crowd managed to extricate Mr. Youkhana's body and whisked him away to the hospital. Mr. Abdul-Ahad was already dead at the scene of the murder. A month before the debuting of a new Iraqi constitution, the country's religious minorities are worried the document may leave out any meaningful provisions for religious freedom. A panel representing three of those minorities called on the United States to ensure the constitution, to be revealed August 15, benefits them as well as the Shi'ites, Sunnis and Kurds. "If Iraq was invaded by a despotic or authoritarian country, we wouldn't expect any justice or democracy," said Orhan Keten, the U.S. representative of the Iraqi Turkmen Front. "But being invaded by the United States of America, who promised to bring equality, justice, democracy and pluralism to Iraq, we expect the fulfillment of those promises." The panel, speaking at the National Press Club, was a rare gathering of spokesmen for Iraq's ChaldoAssyrians, whose 800,000 adherents in northern Iraq are rapidly dwindling; Iraqi Turkmen Muslims; and Mandaeans, who follow John the Baptist as God's chief prophet. They were joined by Nina Shea, a member of the U.S. Commission on International Religious Freedom, who said a draft of the religious freedom provisions in the new constitution may be available this week. "Religious freedom is not being red-lined by the U.S. government," she said. If the constitution names Shariah as the main source of Iraqi civil law, she said, non-Muslims will be relegated to second-class status at best and at worst, be driven out of the country, slain or forced to convert. "Another Trojan horse," she added, "is a 'repugnancy law,' which is a provision that would say no law can be passed that is 'repugnant' to Islam." She said the constitution also could give power to unelected clerics, as is the case in Iran, or institute Pakistani-style "blasphemy laws" against anyone presumed to have criticized Islam. "There's a long history in this region of suppression of non-dominant Muslim groups," she said. Panelists said their situation in Iraq is already grim; that religious persecution has only worsened since the Americans arrived in the spring of 2003 and that "tens of thousands" of their adherents have fled to neighboring countries. Not only is the United States refusing to intervene in turf wars between various groups, they said, but it is diverting development funds to these minorities' traditional enemies. "U.S. funding in northern Iraq is not being directed by the authentic Christian ChaldoAssyrian leadership," said Michael Youash, project director for the Iraq Sustainable Democracy Project and a spokesman for the Aramaic-speaking ChaldoAssyrians. Instead, he contended, Kurdish political parties have been entrusted with millions of dollars in funds that mainly benefits their causes. Kani Xulam of the American Kurdish Information Network said Kurdish leaders do work with some Assyrians, who are apparently satisfied. "Others do not work with them and they are the ones complaining," he said. "But there is room for dissent in any society." (ZNDA: Washington) The new Iraqi constitution already is shaking the San Joaquin Valley, California, and it's not even written yet. Local Assyrians worry the new constitution will favor Islam over Christianity. Their worries mobilize local lawmakers, who now are starting to lean on the Bush administration. "(They are) incredibly concerned about the current drafting of the constitution," Merced Democrat Dennis Cardoza said. "The reports they are hearing is that (Iraq is) drafting a fundamentalist Islamic document." The local worries and the political response they generate illustrate how ethnic constituencies shape congressional action. Beyond that, the long-distance lobbying over Iraq's constitution highlights the controversial power the United States retains over a sovereign nation. Much closer to home, it could shape at least one local congressional race. 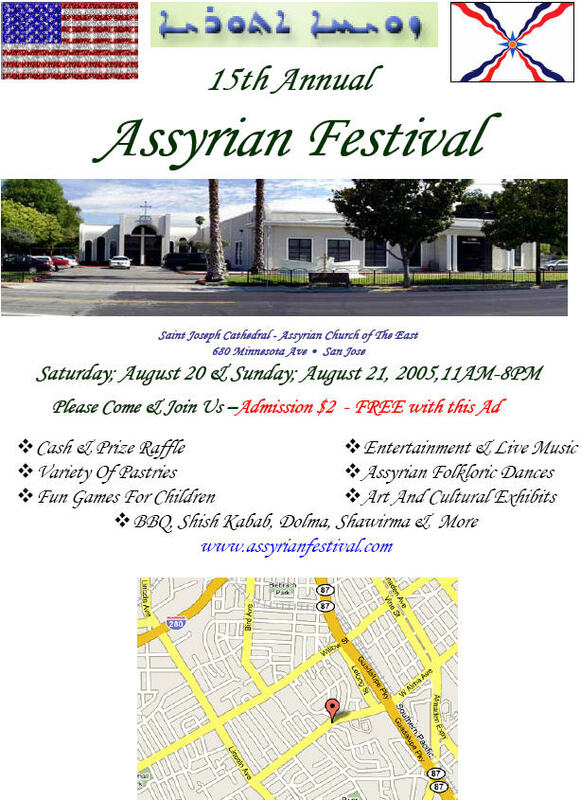 With between 30,000 and 45,000 Assyrians thought to be living in Merced, Stanislaus and San Joaquin counties, the region claims one of the largest such populations in the United States. Assyrian media serves the region, as do Assyrian churches, and politicians know to be attentive. Recently, Cardoza met with His Beatitude Mar Emmanuel III Delly, the patriarch of the Chaldean Catholic Church. The Assyrian religious leader advised Cardoza about developments in Iraq, prompting the congressman to echo the concerns in a July6 letter to President Bush. "The Assyrian people suffered greatly in their attempts to obtain greater freedom and recognition," wrote Cardoza, a member of the House International Relations Committee. "It would be outrageous for minorities who have suffered and sacrificed so much to not be afforded protection under the new constitution." Some Republicans, though, view Cardoza's solicitude skeptically. "The Assyrians, to be perfectly honest, until now haven't seen too much of Congressman Cardoza," said John Kanno, an Assyrian who has declared his candidacy against Cardoza. "All of a sudden, he's pandering to the Assyrian community now that he's got an Assyrian running against him." Kanno's parents left their native Iraq in about 1957; subsequently he was born in England, and has lived in the United States since 1981. An engineer now living in Modesto, Kanno did agree with Cardoza that "we want freedom of religion" and "some kind of safe haven" under the new constitution. In June 2003, Cardoza introduced a House resolution expressing concern about the status of Assyrians in post-war Iraq. The resolution gained 10 co-sponsors, including Mariposa Republican George Radanovich, but did not reach the House floor. The transitional law currently governing Iraq calls for a draft of the new constitution to be completed by August 15. It is supposed to be submitted to the Iraqi public for ratification by Oct. 15. One six-month extension is permitted, in case Iraqi officials cannot meet the original deadlines. Last week, the Iraqi National Assembly committee drafting the constitution was expanded to 71 members with the addition of 15 Sunnis. Dominated by Shiites, the committee includes one Assyrian Christian, 15 Kurds and one communist, among others. Iraqi officials insist no extension will be needed. "We're going to stay on that timetable," Bush told reporters last month, following a meeting with Iraqi Prime Minister Ibrahim al-Jaafari, "and it's important for the Iraqi people to know we are." A current draft of the proposed constitution, translated by George Washington University scholar Nathan Brown, includes a provision stating that "discrimination on the basis of gender, nationality, religion, origin or social standing is forbidden." The draft also states that "the Iraqi citizen has the right to freedom of thought, conscience, religious creed and religious rites." At the same time, with Muslims making up more than 90 percent of Iraq's population, Islam may well be declared the nation's official religion. In an interview, Brown said Friday that while the "principles" of religious tolerance will be articulated in the constitution, "the devil will be in the details" as the new Iraqi parliament begins writing specific laws. The United States, Brown added, will have "some influence" in this, but won't be able to dictate the complete work. Still, Cardoza said, "We have a certain amount of pressure we can bring to bear" on the Iraqis who are writing their nation's new governing documents. "A number of our young men and women have died to bring them their freedoms," Cardoza said. Editor's note: Residents of the former Lucky 7 Motel asked not to be identified. (ZNDA: Turlock) Broken toilets, cracked pipes and faulty wiring. Residents at the former Lucky 7 Motel at 2700 N. Golden State Blvd. in Turlock, California say repeated requests to fix problems in their apartments aren't being met by their landlord - the Assyrian American Civic Club of Turlock. Now, Stanislaus County Environmental Resources is investigating complaints of "substandard housing conditions." "We keep telling them to fix things, but they don't care," said an apartment resident, a senior citizen who asked to remain anonymous. "They don't come out and clean up the lot. ... When I ask them to come fix the bathroom, they say, 'Take it or leave it.' You get tired of talking to them and telling them it needs to be fixed after a year." The Civic Club purchased the motel in 1996 and has plans to either renovate or demolish the building, said President William Julian. Residents pay between $285 and $400 a month for a small room, closet and bathroom, Julian said. "We have a lot of problems with it. We don't want to spend money on it. It's a dirty place," said Oshana Walo, a maintenance worker for AACC. Stanislaus County Environmental Resources staff is investigating the apartments for substandard housing conditions, but Julian said there have not been any complaints with living conditions. "We have tried to work with the property owner and he said he would look into it," Environmental Resources Manager Mike Newton said. "Any property owner who is going to knock down the building is going to be hard to deal with." Staff recently asked the City of Turlock Building Division and Fire Department to help investigate. Officials will have a joint investigation next week to make sure the apartments are inhabitable, Newton said. "The most current case we were investigating was June 14. It was a complaint about cracked pipes and the room smells bad," Newton said. The landlord is responsible for attending to this, and can get in trouble for not keeping rental property up to state living standards, Newton said. There are 11 residents in the 26-unit building, a resident said. The lease is month to month. The vacant rooms have been broken into and the windows have remained smashed for months, said another resident. No more tenants will be accepted and current tenants will have enough time to find a new place to live, before AACC members progress with the property's future, Julian said. "It's an old, old building. I don't know if we would remodel or just build a new one," Julian said. "We intended to make it a Sunday School for the Assyrian Church." (ZNDA: Detroit) A new $25 million meeting and dining facility at the Shenandoah Country Club will offer luxury and updated technology to the convention industry in Oakland County, Michigan officials say. Metro Detroit's Chaldean community plans to formally open the 93,000-square-foot facility later this month. "We plan to host major public conferences, family reunions, weddings and business seminars," said Martin Manna, executive director of the 450-member Chaldean American Chamber of Commerce in Farmington Hills. Shenandoah will offer event planners another choice, said Chuck Skelton, president of Hospitality Advisors Inc. in Ann Arbor. "That area of Oakland County doesn't have a lot of options for a large satellite convention center." The Chaldean Iraqi American Association of Michigan owns the property. When Chaldean wedding parties outgrew the group's previous wedding hall, the group looked to buy a new one and make it available to anyone. More than 120,000 Chaldeans, Aramaic-speaking Catholics from the Middle East, live in Metro Detroit. The facility features gold leaf and glass tile mosaics, three stone fireplaces and African cherry wall trim, among other features. It can accommodate more than 1,000. The ballroom has five large screens for presentations and live cameras. Each meeting room has a flat panel TV screen, Internet, multimedia and audiovisual capabilities. "We've been compared to the Ritz-Carlton and the Townsend (Hotel) as far as look and appeal," Manna said, "yet we're much cheaper." Carolyn Artman, a spokeswoman for the Detroit Metro Convention and Visitors Bureau, couldn't predict the new center's impact on tourism. But "anything that is a new facility in Metro Detroit that brings in new conventions to Detroit is beneficial to the market," she said. The meeting facility's first major event will be a 9 September business conference on rebuilding Iraq, Manna said. I appreciate the way you are taking a part in keeping our nation and culture alive ... I think you are doing a great job in covering the news that I really care about. So thank you. I refer to Eddie Shamasha Gewargis Bet Benyamin’s article on the above subject appearing in ZINDA issue dated June 29, 2005. I first met Qasha Gewargis Bet-Rasho casually in Tarzana during a 40th Day mass and memorial held at St. Mary’s Church and reception hall, respectively, on Sunday, January 24, 2005. I was then in the LA area also to register to vote in the Iraqi elections. And I had a chance to chat with Qasha Gewargis for a few minutes at the home of the deceased later that day. A Catholic myself, I was impressed by the priest’s simple mass and sermon as well as by St. Mary’s Church and its components established through his resourceful leadership. But I had another chance to know Qasha Gewargis a little better on my second trip when I returned a week later to LA to vote. After voting, on our return trip to Modesto the 150 passengers of our AAA Modesto club’s two buses made a few-hour stopover in the evening at St. Mary’s church hall for a meal prepared for us by the church. Because we knew the church needed financial support, most of us chipped in to a make a collection for the meal. While we sat, chatted and ate our meal, Qasha Gewargis gave a short talk and then wandered around in the crowd chatting with and listening to a number of the people, some of whom I’m sure he barely knew. He was chatty and relaxed, an outgoing person—so simple and down to earth—and it seemed that almost everyone loved him. He certainly has done an impressive work for the church and its congregation during his nine-year tenure and it’s no wonder that he has already launched the establishment of an Assyrian school when other older and more prosperous Assyrian churches or organizations in this country have not been able to do other than holding a few beginners’ Assyrian-language classes. With a helping hand from his people, I’m sure Qasha Gewargis will do well. Qasha Gewargis Bet-Rasho certainly deserves everyone’s support with his new project. And it is also perhaps appropriate for Mr. Bet-Benyamin to place the priest’s name among the founders of Assyrian schools in Iraq of these past eighty or ninety years, even though he has yet a long way to go. But I was disappointed to note that Mr. Bet-Benyamin, in his article, had not seen it fit to include the name of the late Raabi Yacoub Bet-Yacoub on the list as one of the well-known Assyrian school founders and headmasters in Iraq. Raabi Yacoub founded and headed three schools, one each in Baquba, in Hinaidi and in Habbaniya, spanning the period from 1919-1920 and 1924-1944, teaching not only general education but also Assyrian language and Bible. In my opinion, for someone who has done so much toward the education of our people his name should be accorded the honor of being placed next to Qasha Yosip Kelaita or at least after Qasha Khando Yonan of Gailani Camp, Baghdad. Two other Assyrian school founders and teachers in Iraq who come to mind are the late Raabi Espania Shimshun Barkhu of Maratha Lines, Hinaidi, and Raabi Sargis Shumon of Levy Lines, Hinaidi, both of whom had Assyrian elementary schools of their own for about six years in the 1930s. Assyrian elementary school in Levy Lines, near RAF Station, Hinaidi, Iraq. It was founded in early 1930s by Raabi Sargis Shimoun (center) who ran it until the Levies relocated to the new RAF Station of Habbaniya in 1937. 1936: Raabi Espania Barkhu (center), with his younger brother Raabi Youkhanna (left) also a teacher for a few years, with pupils of his Assyrian elementary school (1932-37) in Maratha Lines adjoining Royal Air Force Station, Hinaidi, Iraq. I was recently in Adelaide [Australia] and was surprised when coming out of my hotel I walked past a very interesting piece of art (see below). This picture was taken on the corner of two main streets in Adelaide, corner of O’Connell and Ward. 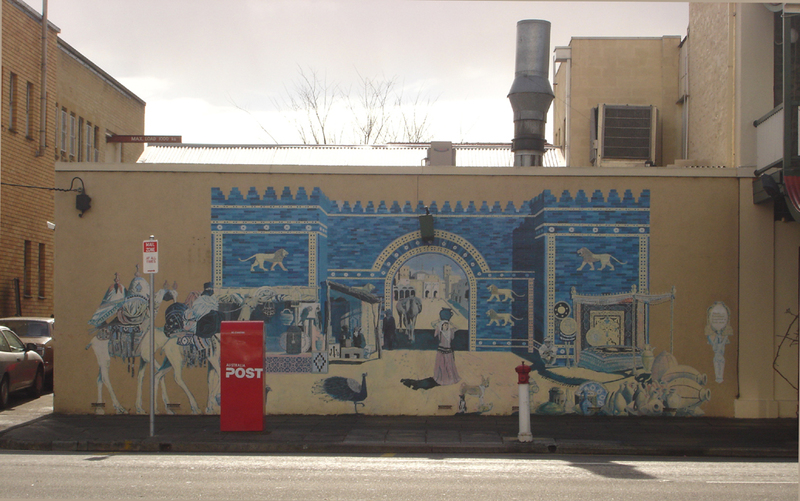 Adelaide just might overflow with Assyrian tourists who want their picture taken with this beautiful piece of art after all. The United Nations report of 2003 mentions the following : The entire Middle East suffers from the lack of democracy, gender discrimination, and technological progress. Violence against women is considered normal by half of society. When women face violence, they look for protection by a man related to her, like (father, brother, or a relative). Thus, she must depend on another man to protect her from violence committed against her. On Oct 30 2003, the UN passed security resolution 1325 which concerned women, peace, and security, all of which are lacking in Iraq. Kofi Annan has stated that women are often leaders when it comes to peacemaking. Iraqi women are in need of security, peace and equality, otherwise women cannot take part in a peaceful civil society. Iraqi society is traditional, where social habits and customs play a major role in the behavior of people and their relationships. At the same time, the law has been written incorporating these customs. Most girls feel that there is discrimination between them and the boys in the same family. Because of these archaic customs, women have been subjected to different forms of maltreatment and insults. thus only seven ministries have women forming at least (50) percent of its work force . On the level of chief of section, the female percentage is highest in the ministry of labor and social Affairs (72) percent, then ministry of Justice (65) percent, then the ministry of environment (52) percent and lastly the ministry of public works and Municipalities (51) percent ,nothing no percent , were given concerning the ministry of Education . The lowest percentage for Chief of section is the ministry of youth and sport (3percent), the ministry of Communication (7percent), the ministry of transports (9 percent) and the ministry of Agriculture (10 percent). the ministry of Environment (50) percent 1 out of 2, the ministry of Emigrants and displaced (33 percent 1 of 3), the ministry of health (20percent ), the ministry of planning and developmental Cooperation (19 percent ), the ministry of public works and Municipalities (17 percent), the total being in the above ministries (8 percent ),the total being in the (8) women for (29) men . In (8) ministries out of (24). There are no women at all in the level of General Director: Agriculture, Electricity, Higher Education and research. Transport, Human rights, Labor and Social Affairs, water Resources, Youth and sport. Women teachers make up (69 percent) of all teachers. One of the outcomes of the women's July 2004 conference was the increase of discussion meeting and conferences among women's organizations and key public figures in order to exchange information and to discuss issues concerning women's rights and women's percent situation. Thus, arise the need to coordinate activities to develop the cooperation, which was embodied in the creation of an Iraqi women network includes eighty women NGOs from all over Iraq, as a platform of joint work among women's groups and organizations .Also the creation of an advisory committee for women's affairs in Iraq, which includes specialists and leaders in the women movement. In January 2004, both of these sides held large separate meetings in order to discuss their goals and their programs. The advisory Committee started defending women's rights and interested in the new Iraq asking the new government to include women in drafting principles in the interim Constitution . The network had the decisive role in abolishing the Decree 137 of 2003 passed by former GC .meantime the network was also succeeded in influencing the articles of the Interim Constitution by lobbing for broad based women representation in the political and decision making roles. It successfully achieved a target of no less than 25% women representation in sharing power and decision making .The fruit of all this effort was achieved when we had 6 women in the cabinet . 2005 for Iraqi women is the great year in Iraqi women history .Iraqi women participate in election in some areas 70% as voters according to Arabic news .They achieved 31% of the national assembly .The leaders of Iraqi women movement became the legitimate target for terrorists attacks several of our colleagues had been assassinated like Dr. Amal . Fundamentalists use it also against secular and non-Muslim women who do not follow up the Muslims legitimacy. Oct 7 2004 two women were killed just because they did not wear hijab. Because of this phenomenon, women's activity becomes limited .The reason that marked first priority is to have security for the families and for the women in the street and work. Women more patient, more tolerant, more responsible for raising children to be tolerant with each other. Unfortunately, our neighbor countries have not good atmosphere concerning their women, this is going to be a kind of obstacle for Iraqi women especially Iran and Saudi Arabia. What we need for Iraqi women? The conference has taken place in two days 16-17 June 2004 with, more than 350 delegates have participated from all over the country, with all Iraqi spectrum, from city centers and heart of rural areas; representing different generations Among them were women in high political positions, academics, professionals, educators, working women, house wives and activists in women's groupings and other civil societies organizations. Experience of women participation in local and Municipal Councils. We need to build our self to live together, all groups peacefully, to do that very important women should have a big role in the government, and women should be part of decision making process for Iraqi policy .Peace movement should be more active in Iraq using Iraqi media as a tool against any tradition provoke violence .The work of women peace builders must be a acknowledged and Expanded by using women to build a peaceful society in Iraq. In Iraq, we need peacemaker and peacekeeper to be active. Second to provide humanitarian assistance to Iraqi women and children especially, which are internally displaced or were refugee outside Iraq. Job opportunities for women. Iraqi National Assembly should appoint a committee for writing draft constitution. Iraqi lawyers female and other women who interested in human rights should be not less than 50% of this committee. We need international support and human rights to participate in writing a constitution taking into account women's issues. International organizations are not strong enough to go every were and watch woman's situation like international Amnesty and Human rights .International Women's organization .We need from UN and other EU to support these organizations and push more pressure on Governments in Middle East to open these offices in these countries . Iraqi media should be enriched with women shows especially TV and Radio. We need to respect all religious traditions; we have to oppose any attempt to create a theocracy that tramples on individual human rights means "women should have equality in the rights and duties in the constitution and civil law. They need to have right of husband selection, protection from polygamy, protection from honor killing protection from coercion on the marriage and right of non- marriage before majority. Family law is most important issue for Iraqi women. Recruit and train women for diplomatic positions and to require negotiation teams to regular consult with women's community based organizations. The constitution should protect women's equality in peace accords. Women and civil society should be involved in all political negotiation. The goal is to ensure that the peace is deeply rooted in the society and women should be not marginalized. Women is the first victims in the war or in the middle East and women are the majority of refugees ,women should be a big part of negotiation then should be emphasize on their roll in building Iraq. Women and girls are always the first target of sexual violence as weapon of war, which lead to stigmatization, sexual slavery. They need some protection. Need to encourage the use of non-military strategies in peacekeeping operation that protect female participation. Women in Iraq should be as prime negotiators, peacemakers and advisers who can add creative approaches to mitigating conflict and sustaining peace. During Peacekeeping operations need women to providing them training on protection, rights, and need female in post-conflict reconstruction. Zinda Magazine will not be published on Saturday, 16 July. We'll be back on Wednesday, 20 July.